The children of the Angel's Care school are from neighboring war-torn countries. 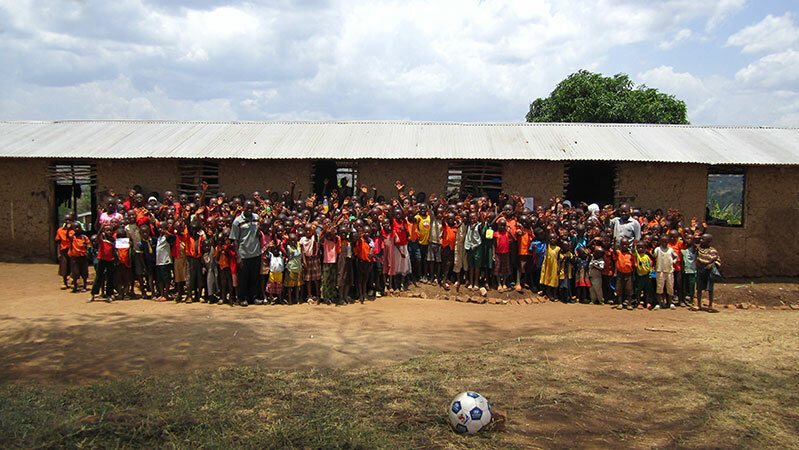 This school serves the rural community around this refugee settlement. TFI supported the purchase and installation of this water system, which allows the children to have access to safe drinking water. Students of the Angel's Care School sit at the desks inside a classroom. The classes are very cramped and with more support the school hopes to build and outfit more classrooms. Children sit outside during a class break. These children are provided with both traditional education and opportunities for vocational education, if they desire. Angel’s Care School was introduce to TFI in 2012. 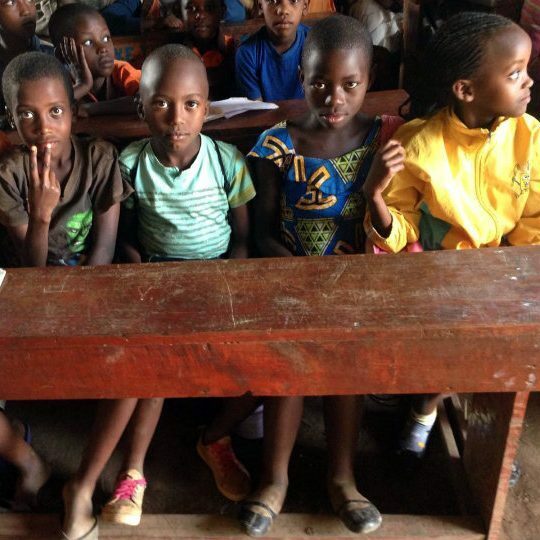 This school is located inside a refugee settlement that cares for children escaping conflict in neighboring countries including Burundi, Rwanda, and the Congo. 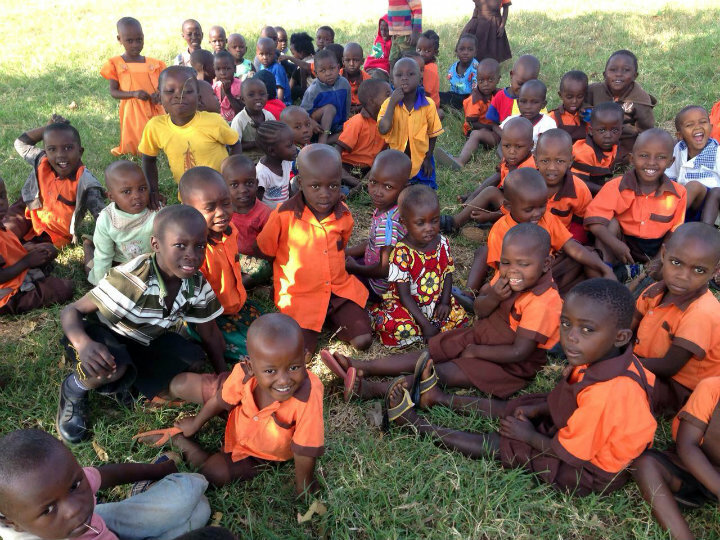 One day, a former TFI volunteer was working with the Peace Corps in Uganda. There, this volunteer contacted TFI to help the community. Soon, TFI assisted in the building a much-needed water tank at Angel’s Care School. 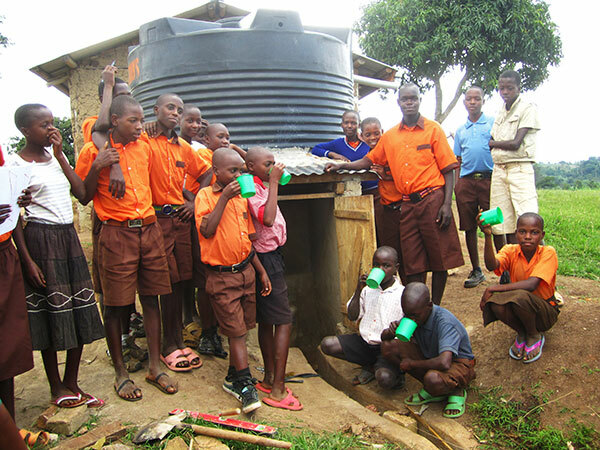 As a result of the water tank, having a reliable water source has improved the overall health of the students, which in turn improved school attendance, to which point that they became the highest performing school in their region. The school still has many dire needs, but they are able to accomplish much with ingenuity and dedication. To donate specifically to the Angel’s Care School, write “Angel’s Care” in the comments section.